National Fish and Oyster Company was founded by Samuel George Bulldis in 1929. 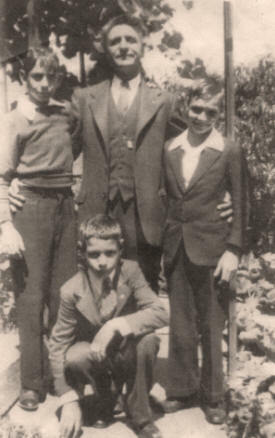 Sam came to America in 1912 at the age of 14 from the Greek island of Marmara. 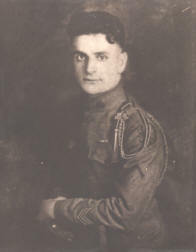 After only a few years in the United States, Sam returned to Europe in 1918 with the 41st Division to fight for his new country in WWI, earning the Silver Star. He returned from the war and began his long career in the fish and oyster business by taking a job at Bay City Market in Tacoma. Destined for bigger things, he went into business with the Victor Brothers in 1928, and in 1929 purchased the business outright and renamed the company National Fish and Oyster Co. His success in the market encouraged him to expand, opening another fish market and a wholesale outlet over the next few years. In 1934, he opened his own oyster shucking plant on Tacoma’s Marine View Drive and in 1939 began growing oysters at our current location in the shadow of Mount Rainier on the Nisqually Flats. Today, National Fish and Oyster still harvests shellfish from these beds in the fertile waters of South Puget Sound. Sam passed away in 1974 and his three sons, George, John and Jim took over the business. Now, a third generation of the Bulldis family is taking on leadership of National Fish and Oyster Company. Copyright National Fish & Oyster Company, Inc. 2006.